Biorhythms Plus! 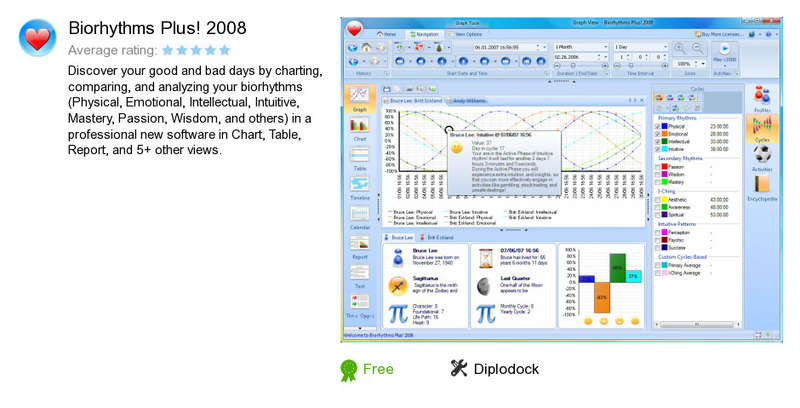 2008 is a program developed by Diplodock. We know of version 1.0. Version 1.0 is downloadable at our site. Biorhythms Plus! 2008 distributive has a size of 173,346 bytes. Diplodock also publishes Date and Time Calculator and Hex Editor II.